Iván Martín is a value investor portfolio manager with over 17 years of experience. Before cofounding Magallanes he worked at Santander AM, Aviva Gestión and Sabadell Gestión where he has delivered superior returns in Spanish and European Equities until Septembre of +437% and +98% respectively, equivalent to + 11.5% and + 15% annual compound, for the last 15 and 5 years, considerably outperforming their equity benchmarks. He holds a Degree in Business Administration and a Master’s Degree in Financial Analysis from the Carlos III University of Madrid. He completed a Value Investing Spring Course at the University of Nebraska in Omaha. He holds the Chartered Financial Analyst (CFA) certification. Associate professor at the Carlos III University of Madrid and the Pompeu Fabra University of Barcelona. Awarded the Academic and Professional Excellence Prize by the Social Council of the Carlos III University. He has participated as a speaker at different financial events, including the Morningstar Investment Conference of Madrid, the Value Investor Conference at Omaha, Nebraska, London Value Investor Conference, and Ira Sohn London Investment Conference. Simon Caufield is a value investor specialising in deep value, cyclical and cheap compounder stocks in industrial and consumer discretionary sectors. He began his professional consulting career in 2007 after selling the price optimisation software company that he had founded in 2001. These days, Simon runs mainly family money in a concentrated portfolio. Previously, he was an engineer and strategy consultant. Simon has an MA in Engineering from Cambridge University and an MBA from London Business School. Simon was voted third best idea 2017 by the audience for Wetherspoon plc. Born in 1977 in Madrid, Andrés took a degree in business administration at his home city’s Universidad Complutense. He started his career in 2001 at Credit Suisse in Madrid. He later worked as portfolio manager for traditional and long/short funds in Madrid, Zürich, London and Edinburgh, with Credit Suisse, RAB Capital, Allianz Global Investors and Standard Life Investments. A keen tennis player and deerstalker, he likes to read widely and in depth, and finds his greatest enjoyment in family life. Fredrik Bjelland is portfolio manager of the emerging markets equity fund Skagen Kon-Tiki. Prior to joining SKAGEN he was based in Shanghai, as Head of China Special Mandate, at Norges Bank Investment Management (the oil-fund), where he also previously held positions as a portfolio manager and a generalist global equity research analyst. Prior to this, he spent six years working at Morgan Stanley in London as an equity research analyst and at PWC as a strategy consultant. Fredrik has a Masters of Engineering degree from the University of Durham and has been a CFA charter holder since 2008. Skagen is an independent boutique fund manager as part of Storebrand Group, focused on long only value equity and fixed income investments. Established in 1993 in Stavanger, Norway it has grown to be Scandinavia´s largest and very successful asset manager with €8bn in AuM. Skagen´s goal is to prove clients with best risk-adjusted returns by pursuing a value-driven, bottom-up, active and long term approach. The ideal investment is Undervalued, Under-researched and Unpopular with potential triggers to unlock the hidden value. Ricardo Cañete has been Fund Manager at Bestinver since November 2014. Over the course of his professional career Ricardo has worked at Banco Popular, where he was fund manager and head of the Quantitative Research Department of the bank’s asset management arm, and Mutuaactivos, where he was head of the equity team and co-responsible for pension funds and managed mandates. There he was responsible for, among others, Mutuafondo España FI, one of the best performing Spanish equity funds during the period he was head of the team. Ricardo Cañete holds a Degree in Economic and Business Sciences from Complutense University of Madrid (1996), a Master’s in Financial Markets from ICADE (1997) and is a Chartered Financial Analyst. Sid Choraria joined Amiral as Head of Asian equities research in Singapore to adopt Amiral Gestion’s value investment process in the inefficient Asian equity markets. Prior to Amiral, Sid worked as Portfolio Manager and Vice President at APS Asset Management in Singapore, a $2.7bn leading hedge fund in Asia. Previously, Sid work at Goldman Sachs, Merrill Lynch and Morgan Stanley in Hong Kong and New York for nearly a decade. Over the last 5 years, Sid has won multiple global investment research awards, judged by over 70 global fund managers and allocators by institutions like SumZero, Ira Sohn, Value Investing Congress and Factset. In 2015, Mr. Choraria was the recipient of the Best Analyst Excellence Award by SumZero from a pool of over 13 000 analysts and fund managers globally. In 2014, Sid piqued the attention of Warren Buffett on a Japanese investment research report, which elicted a response from Mr. Buffett of “keep your eyes open!”. Mr. Choraria received his MBA from New York University in 2011 and was recipient of the Harvey Beker Scholarship. During his MBA, Sid worked at Bandera Partners LLC in New York under well-known value investor, Jeff Gramm, Founder of Bandera Partners and Adjunct Value Investing Professor of Columbia Business School. He is a member of Value Investors Club, an elite investment club for top money managers and analysts founded by legendary value investor, Joel Greenblatt. Richard Cook co-founded Cook & Bynum Capital Management in 2001 and currently serves as the firm’s portfolio manager. As absolute value investors, Richard and his team seek to invest in companies selling at a meaningful discount to their intrinsic values. Because of a preference for high-quality businesses and a strict discipline to price, they prefer to build a concentrated portfolio of their best ideas. They search for these opportunities globally, across industry sectors, and among public companies of all sizes, traveling extensively to observe consumers, meet management, assess suppliers and competitors, and survey these businesses in action. Richard began his career at Tudor Investment Corporation. Richard holds a B.S. in Mathematics, Applied Mathematics, and Economics from Hampden-Sydney College. Andrew set up Holland Advisors in 2009 and the Farnam Street Capital Fund in November 2011, he did so after a 20 year career in stock broking and fund management at Merrill Lynch, Redburn Partners and Henderson. Andrew is greatly influenced by the investment methods of Warren Buffett and many of the features of Farnam Street Capital mirror those of the original Buffett Partnerships. His philosophy is to use analytical and fundamental approaches that have proved successful for many of the great investors of the past. He also has a diversity of style seeking high quality franchises, deep value and special situation investments but all only when priced to give a margin of safety. Oliver Kelton is the Portfolio Manager of the Odey European Focus Fund, the CF Odey Continental European Fund and the European Absolute Return Fund. Oliver joined Odey in March 2015 from Waverton Investment Management, where he had joined as a European equity analyst, managed specialist Pan-European equity money since 2003 and took over running the Waverton European Fund in April 2010. He has a 1st class honours degree in Economics and Politics from Bristol University and is a CFA charterholder. Francisco López Posadas is the Chief Investment Officer and Founder of LIFT Investment Advisors and has over 19 years of experience investing in public financial markets. LIFT Investment Advisors investment approach combines value investing principles with the team experience and the disciplined decision-taking process used in Private Equity. Before establishing LIFT Investment Advisors, Francisco spent over 8 years working in leading Private Equity firms such as Investindustrial, Permira and Demeter Partners getting involved in more than 30 corporate transactions and worked closely with management teams of their portfolio companies. Francisco holds an MBA from NYU Stern School of Business and a Bachelor degree in Business Administration from Universidad de Valladolid. He speaks English, Spanish and French. Antonio is currently responsible for European and Spanish Equities at March AM, he began his professional career at Beta Capital SVB – Fortis Bank España, first as an analyst of infrastructure and cyclical companies to later become Director of Analysis and coverage of Spanish Utilities. Afterwards he worked at Exane BNP Paribas as Director of Spanish MidCaps and Head of the Spanish Branch. He has obtained excellent positions in the Extel rankings of team analysts (5th position in Spain and Portugal in 2011, 6th in 2012) and as an individual (2nd Spanish analyst in 2011, 7th in 2012). Antonio has an MBA from IESE – University of Navarra and a Bachelor’s degree in Economics and Business Management from the Universidad Complutense de Madrid. In addition, he has conducted several graduate programs and courses, including a Business Valuation program at Harvard Business School, a Value Investing program at Columbia Business School and a specialization in Value Investing and Search for Value by Ivey Business School of Toronto (Canada). Stuart is the Managing Partner and CIO of S. W. Mitchell Capital and the Investment Manager of two funds; the S. W. Mitchell European Fund and the SWMC European Fund, as well as a number of managed accounts. Prior to founding SWMC in 2005, Stuart was a Principal, Director and Head of Specialist Equities at J O Hambro Investment Management (JOHIM, now Waverton Investment Management). At JOHIM he set up and managed the Charlemagne Fund, a long/short European fund, and the JOHIM European Fund, a long only European fund. The JOHIM European Fund rose by 133%, from inception in December 1998 until March 2005, compared with 8% for the benchmark index. It was rated number one within its sector by Micropal as well as awarded three stars by Standard & Poor’s. Upon leaving university in 1987, Stuart joined Morgan Grenfell Asset Management (MGAM) and soon afterwards assumed responsibility for managing the continental European equity assets for MGAM’s British pension fund clients. Stuart was appointed a Director of MGAM in 1996. He subsequently took on the role of Head of European Equities and was responsible for $27 billion of equity assets. Whilst at MGAM he managed the Morgan Grenfell European Fund, which rose by 123% from January 1990 to June 1996, compared with 85% for the benchmark index. It was awarded first place in its sector in the Micropal Five Year awards in 1996. Stuart was born in Scotland and educated at the University of St. Andrews, where he read Medieval History. He is also a graduate of the Owner/ President Management programme at Harvard Business School. Stuart speaks English and French. Vinod is a Managing Partner and a member of the Investment Committee at Altavista Investment Management LLP. Altavista runs two strategies – global long short equity and India equity. The Global equity fund has generated close to 500bps of alpha per annum since inception in January 2010 while the India long short fund has generated upwards of 1000bps of alpha per annum since inception in March 2011. At Altavista, Vinod follows a fundamental, bottom-up approach to investing. They focus on buying high quality businesses at reasonable prices when there is a short-term dislocation and shorting expensive poor quality businesses. Before joining Altavista in 2011, Vinod had eighteen years of experience in investing, consulting and engineering with Alliance Bernstein, McKinsey & Company and Larsen & Toubro. Vinod received a PGDM (equivalent to an MBA) from IIM Ahmedabad and a B.Tech. in Engineering from IIT Kharagpur. Bob Robotti is the Founder, President and CIO of Robotti & Company Advisors, a registered investment advisor based in New York City. Guided by the classic tenets of value investing, Robotti and Company Advisors uses a proprietary research approach to identify companies with solid balance sheets and the ability to generate significant amounts of free cash flow, yet are misunderstood, neglected, or just out-of-favor. Bob currently sits on the boards of Panhandle Oil & Gas Inc. (NYSE:PHX), AMREP Corporation (NYSE:AXR) and Pulse Seismic Data Inc. (TSX: PSD) for which he also serves as Chairman. Prior to founding Robotti & Company in 1983, he was the CFO of Gabelli & Company. Bob has been featured in publications such as The Wall Street Journal, Barron’s, Bloomberg, Forbes, Fortune and Outstanding Investor Digest and is a frequent speaker at business schools and investing conferences around the world. He holds a BS from Bucknell University and an MBA from Pace University. Philip Best co-founded QUAERO CAPITAL SA in 2005 and is a Partner, Fund Manager and Shareholder. He started his career as a fund manager at Warburg Investment Management in 1983, managing the Mercury European Income Fund. In 1987, he joined Enskilda Securities as a broker specialising in European small cap companies. In 1994 he established and ran the Paris office of The Europe Company Limited, a specialist research-driven European small cap brokerage (purchased by Jefferies & Co in 2000). Returning to fund management in 2003, Philip launched the Argonaut Fund, a value-driven pan-European microcap fund which has compounded just under 14% p.a. over 14 years. He is also a non-Executive Director of UK publicly listed investment fund Jupiter European Opportunities Trust, an investment company with assets of over GBP 630m. Born in 1960, Philip graduated from Oxford University in 1982 and worked in London for six years before moving to Paris in 1988 and then to Geneva in 2003. He is bilingual in English and French. Lorenzo Serratosa is the CEO of Kau Markets EAFI, advisor to Fonvalcem FI and to Formula KAU FI Technology. Together with his partner José Iván García he launched zonavalue.com, a complete tool to operate Quantitative Value Investing and the first Value Investing robo-advisor in Spain: Qvalue.es. The funds he advises, following the trail of investors such as Joel Greenblatt or Tobias Carlisle, have become the most profitable ones in its category in 2016 and 2017, beating all traditional value funds in Spain. Mr. Vanderveer is a Managing Partner of Vanshap Capital and currently serves on the Board of Directors of Detrex Corporation, one of the Fund’s largest holdings. Vanshap Capital is a deep value, globally oriented investment management firm, minority owned by Markel Corporation. Vanshap employs a research-intensive process to identify businesses run by disciplined management teams trading at low multiples of tangible book value or cash earnings. Prior to launching Vanshap, Mr. Vanderveer was an analyst at deep value manager, Aegis Financial Corporation. Mr. Vanderveer is a graduate of The George Washington University, where he earned a Bachelor of Business Administration degree, with a concentration in finance. Emília is Chairman, Chief Executive Officer and co-Founder of Casa de Investimentos, a Portuguese value investing Asset Management company. From 1995 to 2008, she has taught and consulted in the areas of quantitative financial engineering with top financial institutions in Lisbon, London, Zurich, Frankfurt, Singapore, New York and Tokyo between others. For three years, Emília has worked with the department of corporate finance at UBS in the valuation of companies and IPO’s in London, Zurich and New York. Before that Emília worked at Banco Português do Atlântico from 1989 to 1995. She coordinated technical training programmes for portuguese financial institutions at Instituto Mercado de Capitais of Bolsa de Derivados do Porto from 1995 to 1997. Emília is a graduate in Corporate Management at Universidade do Minho, Portugal and a Masters in Finance at Lancaster University, United Kingdom. Her Masters Dissertation was considered an outstanding piece of research. In 1998, Emília entered the faculty at Universidade Católica Portuguesa – Porto where she played a key role in the creation of the Masters degree in Finance. She directed and taught in said Degree. Since 2011, Emília has written about value investing in multiple newspapers and magazines, namely: Exame, Expresso, Forbes Portugal, Vida Económica and Executive Digest. It was great to be with you all! What a terrific event you put on, and we were very privileged to be included! Always fun to meet all of your friends, too. Enhorabuena por el evento y gracias por empujar la causa value, esa pasión que nos une a todos. Os superáis año a año. Me ha gustado mucho la edición de este año. I was there for the first edition last year, came back this year and I must say: it was even better this year. A nice environment, good speakers and lots of opportunities to network with like-minded investors. I´ve attended a lot of conferences in the past few years and this is definitively one of the best value investing conferences in Europe. I´ll certainly be back next year. I attended the ValuEspana for the first time in 2016. It’s very good venue to meet with likeminded value investors. The passionate discussions about equity investments was highly inspirational in daily work after the conference. I look forward attending the 2017 version. While ValueEspaña may be one of the newest investing conferences in the world, it is certainly one of the best. Content transcends typical redundant stock pitches and instead enlightens participants about processes, case studies, and ways to become a better investor. The geographical diversity of the audience adds invaluable feedback and differentiated points of view which help make ValueEspaña a must-attend even for any enterprising global investor. Nos ha encantado intercambiar y profundizar en ideas con gestores apasionados en el mundo de la inversión en valor. El nivel de las presentaciones ha sido alto y han sido dos días de máximo provecho para el análisis de las ideas presentadas. Nos ha encantado la practicidad, profesionalidad y la inspiración de poder intercambiar ideas con gestores apasionados con la gestión de valor. I had the privilege of being invited to Valuespaña as a speaker for the First Edition and I would absolutely recommend it for the high quality of the investment cases presented and for the remarkable atmosphere. When a large number of very talented and smart individuals convenes to a single location under a common interest, the result is an alchemy of enlightening conversations and ideas which is why I will definitely be back next year. 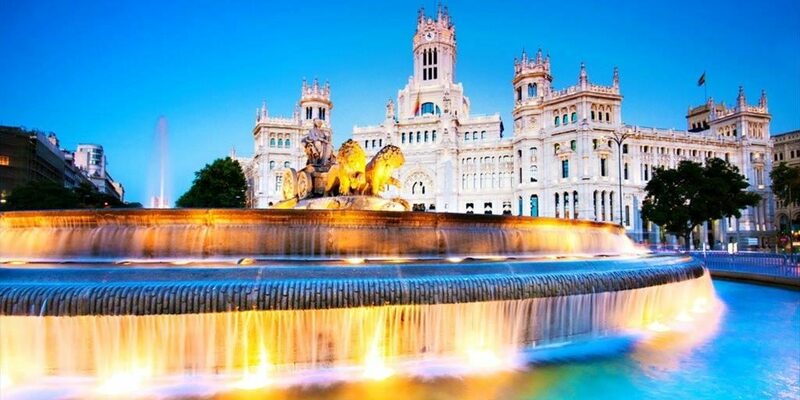 To step back from Mr Market´s noise is key to any Value Investment process, thus to step back and share with passionated and great common sense investors during the Valuespaña summit is an additional opportunity to become a better investor. Many thanks to the organization team.